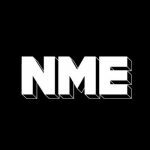 Mercury Prize 2010 – Who Deserves To Win? The winner of the Mercury Prize 2010 will be announced tomorrow (September 7). You can listen to all the albums on the list, and read our reviews, here. Meanwhile, here’s Wild Beasts – nominated for their album ‘Two Dancers’ – weighing up their chances of winning, and explaining why they’d squander the money if they won. Here’s Mumford & Sons on why they think Laura Marling will win over them. Here’s Conor from Villagers, who says that if he wins the Mercury he’ll probably get “very drunk”. But who deserves to win? You can hear what we in the office think by watching the video below. But which album gets your vote?